SMOK has designed two sensational variations for these marvellous atomiser coils: The X-Baby Q2 and the X-Baby M2. Set to a resistance of 0.4 Ohms, the Q2 can accommodate wattage as low as 40W and as high as 80W, with a recommended wattage range of 55W – 65W. 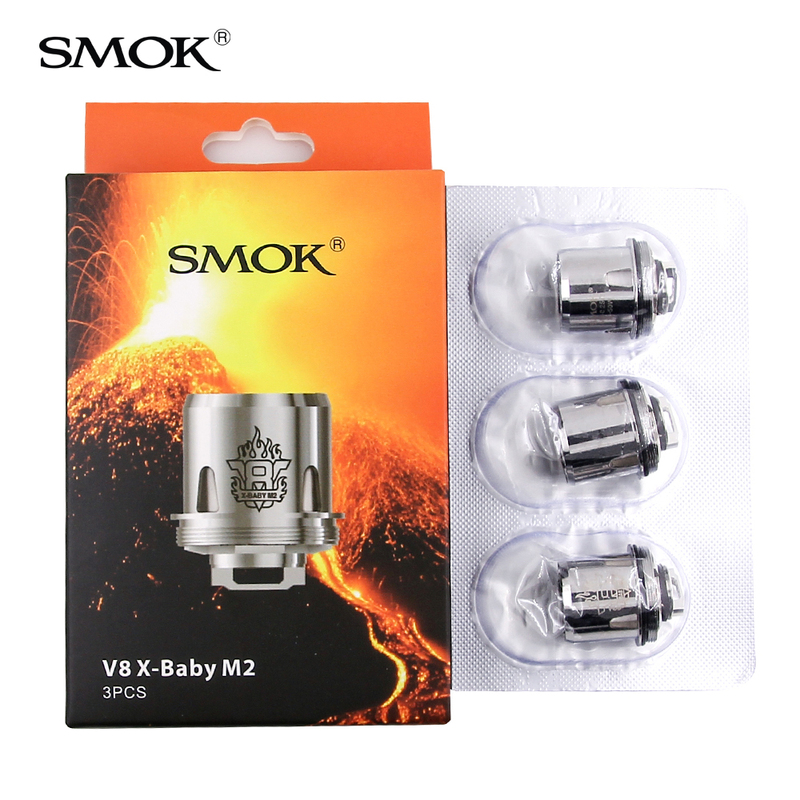 The SMOK X-Baby M2 Atomiser Coil has been engineered to operate with 3.7V constant voltage devices, such as their wildly popular Stick V8. With a resistance setting of 0.25 ohms, you will be impressed with the sheer power and performance of this marvellous coil.